The Florida legislature this month approved a bill, SB 1308, which requires hauler contracts executed or renewed on or after July 1, 2018, to address one of the biggest issues in recycling today: contamination. SB 1308 will become law if governor Rick Scott signs it. The language of SB 1308 is a little confusing, so I thought it would be worth some analysis. 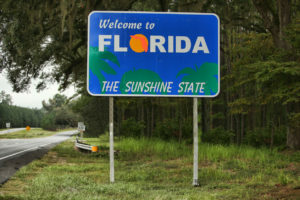 SB 1308 would add a new subsection (22) to Florida Statute section 403.706, which contains other requirements and restrictions pertaining to municipal solid waste. My analysis below is of the statute as it would read as amended by SB 1308. Subsection (22) begins with the requirement all contracts for “collection, transportation, and processing of residential recyclable materials” must address the contamination of recyclable material. In somewhat unusual language, contracts must address contamination “based upon the following.” By using the language “based upon,” it appears the legislature means that the way in which contracts must address contamination is laid out in the remainder of the subsection. – Education and enforcement measures to reduce the amount of contaminated material. Read together, paragraphs (a) and (c) allow a local government to require a hauler to transport and dispose of contaminated material so long as the terms described in paragraph (c) are contained in the contract and the request for proposal. However, it seems unlikely that, having negotiated a definition of contaminated recycling material, and a method of identifying and rejecting it, that the contract would then require the hauler to transport and dispose of it. The legislature probably would have been better off just omitting the language at the beginning of subsection (22) which confusingly appears to prohibit local governments from requiring haulers to transport contaminated material, and then at least technically allowing such a requirement so long as certain issues are addressed in the contract. Nonetheless, if SB 1308 becomes law, it will force the parties to negotiate on the issue of contamination, something the hauling industry is already increasingly attuned to. Haulers would be able to point to a statute, rather than market changes that local governments are often only vaguely familiar with. Therefore, SB 1308, despite some unusual drafting choices, likely would help haulers who are in many cases struggling to deal with a rapidly changing recycling materials market. Jeff Eager is the CEO of Waste Alert, a local government alert service for the solid waste and recycling industry. Jeff is also a practicing attorney specializing in solid waste and recycling matters. He is also the former mayor of the city of Bend, Oregon. He may be reached at jeff@wastealert.com or (541)323-5850.